"Matthew Came To Our House Really Quickly And Saved The Day By Sorting Out Our Dodgy DIY." "Everything. Arrived On Time Sorted Out The Issue Helpful Polite"
"Polite Workman, Tidy Work. 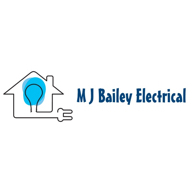 No Problems"
"Very Quick At Finding Someone"
Need a Electrician in Clacton-on-Sea?